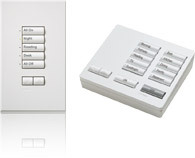 From a single-room to an entire building, Lutron provides completely expandable light control solutions. Simple, standalone light controls are perfect for retrofit applications with easy installation and setup. Combine wireless occupancy sensors, daylight sensors, and dimming controls for a simple lighting system that saves energy and improves productivity. Expand the system with digitally addressable dimming ballasts for significant yearly savings from reduced energy costs, increased lamp life, and lower maintenance costs. Change lighting fixture groups as floor plans change, with no need for rewiring. Manage, monitor, and report on all the lighting energy usage in a building. Optimize energy performance and increase productivity, while minimizing maintenance and operating costs. Wasted lighting can account for a majority of a building’s total energy usage. 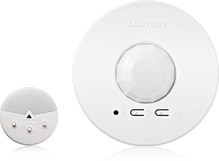 Wired and wireless daylight and occupancy sensors adjust light automatically based on available daylight and occupancy. 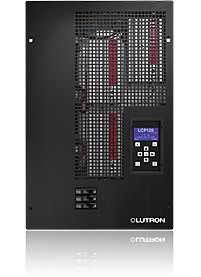 Lutron ballast and drivers control high efficacy lighting to increase energy-efficiency in the home or workplace. Control the light and shade levels in a single room, or throughout the whole home, using a handheld remote, wall mounted keypad, or tabletop control. Utilizing daylight reduces the need for electric light and saves energy. Lutron shading systems provide precision control of daylight – all at the touch of a button.